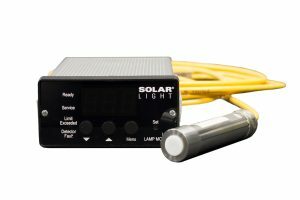 Solar Light’s Model UW254-360 underwater germicidal sensor continuously monitors relative UVC lamp output from 0% to 100%. It provides a cost-effective and trouble-free method of determining exactly when germicidal lamps need to be removed for cleaning or replacement. 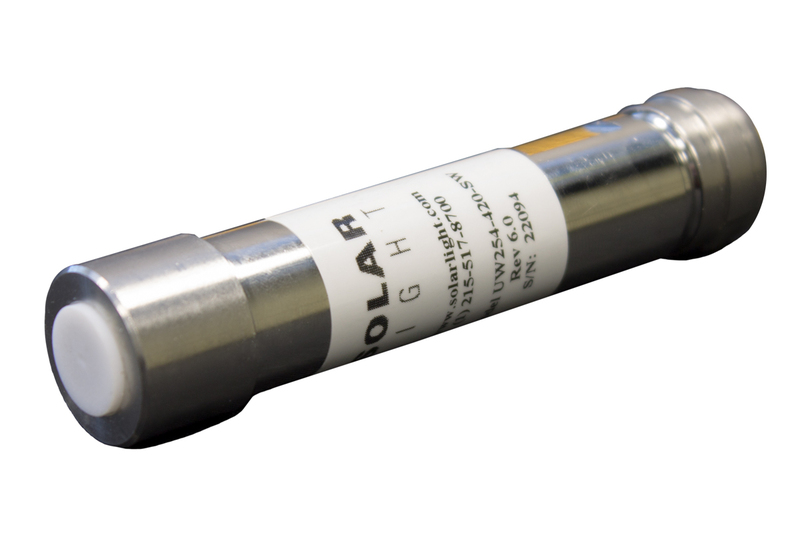 Solar Light’s Model UW254-360 underwater germicidal sensor continuously monitors relative UVC lamp output from 0% to 100%. It provides a cost-effective and trouble-free method of determining exactly when germicidal lamps need to be removed for cleaning or replacement. 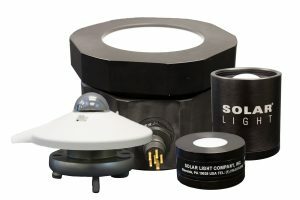 It can monitor over a 360° area, capable of monitoring up to 4 lamps. The probe is calibrated after initial installation of the lamp bank and readjusted after cleaning. This model has a narrow spectral response from 210-380 nm, and will not respond to sunlight or any other visible radiation. A new UV lamp monitor can reduce maintenance costs by determining exactly when germicidal lamps in wastewater treatment plants need to be serviced. Since most plants have no way to determine when buildup on lamps has reduced their effectiveness, they are typically removed and cleaned at routine intervals that are considerably shorter than necessary.